We hope you all are enjoying the holidays! We had a lot of fun in 2015. We stopped our Desmo Dolce, started our Bikes and Breakfast, and reduced our Ducs at the 'Bucks, but we had a great turnout for almost every event. Thank you to Raj Chandhok and Marc Brower for all of your help at our events this year! Thank you also to Steve Viny for setting up the Total Control class - he's done it again with more scheduled for 2016. Please contact us if you have any questions. 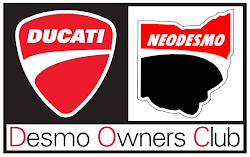 As always, thank you to Northern Ohio Ducati and Triumph for all of your support and for taking care of our Members. We have some ideas for 2016 and are also designing some new NEODESMO gear. Thank you to all of our Founding Members for supporting the club! The International Motorcycle Show is just a month away so we'll probably see you there! Otherwise we'll see you in April when our season starts. Please contact us at neodesmoclub@gmail.com with any event ideas, suggestions, or concerns. 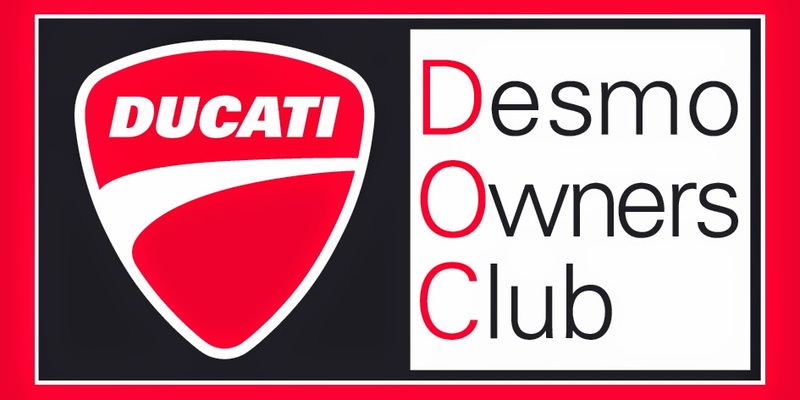 Finally, we will now start breaking down the unclaimed 2015 Welcome Kits (minus the late shipments), so if you are interested in extra Ducati gear, please let us know so we can bring them with us! If you still WANT your OWN kit, please pay $5.50 to have it shipped (on the right). You can use PayPal or a credit/debit card and it will be shipped via USPS Priority Mail. The deadline to have it shipped before it will be broken down is January 11th. Thanks and we'll see you in 2016! Happy New Year! !